Jenny’s primary responsibilities in the office include publishing the newsletter, bulletin, and maintaining the church website. A large part of her role includes communication with individuals, groups, and correspondence among groups, helping to keep church life vital, welcoming and informed. 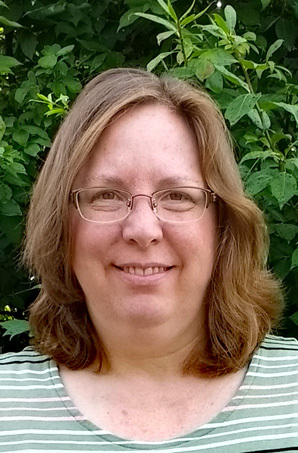 Jenny was baptized into the Mennonite church in 1977 and became a member of Berkey in 1989. She graduated from Bethany Christian High School in 1982 and received a bachelor degree in music with an emphasis in piano pedagogy from Goshen College in 1986. Jenny has worked in various office settings and has also maintained her own private piano studio since 1986. Learn more. She enjoys playing the piano, singing, gardening and spending time with family. Jenny’s husband John, is a woodworker for Mission Woodworking. They have two children: Lauren who is a registered nurse and Austin who is a college student.